Over the past few weeks I have given two talks on Birmingham Friends of the Earth – one to Kings Norton Women’s Institute and one to Yardley Widows Group. After initial inevitable nervousness I really enjoyed myself and would definitely encourage everyone to have a go at presenting – It is the skill I have most appreciated developing during my brief time at BFOE. The ladies were all enthusiastic and welcoming, and really calmed my nerves about my inexperience with giving presentations. I explained what BFOE is and what we do, and talked about the ‘Waste Isn’t Rubbish’ campaign we have been working on. They asked some great questions and we had some good discussions about the environment, recycling, waste and Birmingham in general. 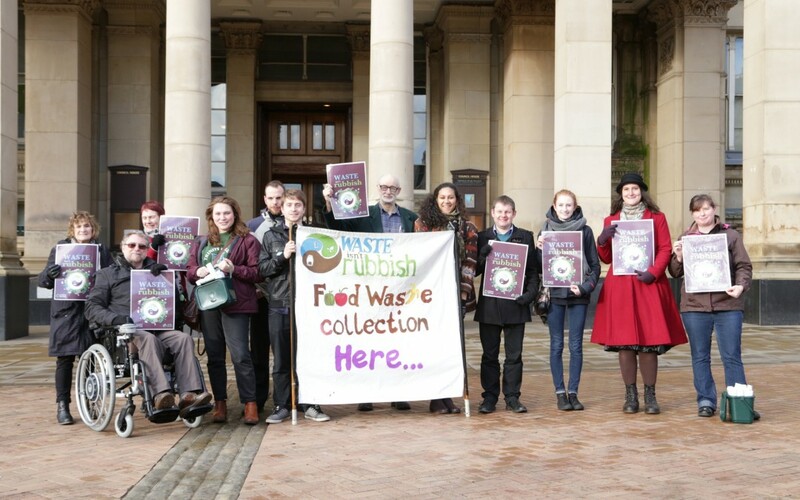 There was great support for the introduction of food waste bins across our city, and lots of interest in the possibilities of anaerobic digestion. We briefly talked about small things individuals can do to help the environment, and both groups were very surprised to learn that reducing consumption of meat and animal products is incredibly effective. I would like to thank the groups for inviting me to speak to them, and for their generous donations to BFOE!